BLAKE SHELTON ANNOUNCES BILLY BOB’S TEXAS FREE POP UP CONCERT | 2911 Enterprises, Inc.
FORT WORTH, Texas – Blake Shelton, who has performed at Billy Bob’s Texas numerous times since his debut in on the historic stage in 2001, has announced a special free pop up concert for this Thursday, September 20, 2018. The one-night only event will be first come, first served for the first 5,000 fans. All attendees must be 21 years of age or older with a valid photo ID, NO EXCEPTIONS. 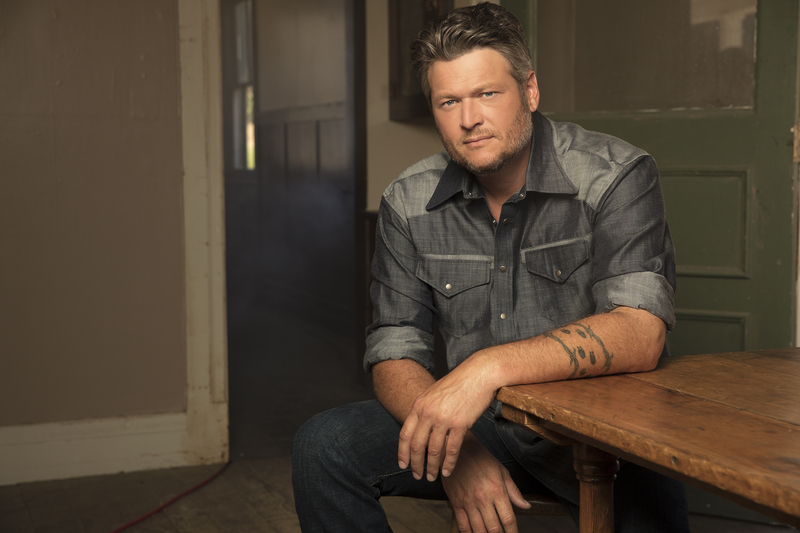 Country Music Association’s 2012 “Entertainer of the Year,” five-time Male Vocalist of the Year winner and GRAMMY nominee Blake Shelton continues to add to his superstar status. In November he released his album Texoma Shore, which became his sixth record to debut at No. 1 on the Billboard Top Country Albums chart and marked his 11th all-genre Top 10. Texoma Shore features smash hits “I Lived It” and “I’ll Name The Dogs,” a romantic tune that boasts more than 90 million streams and marked his 25th No. 1 song. His current single, “Turnin’ Me On,” is the third single from Texoma Shore and was most-added upon impact at country radio. In the week following album launch, Shelton became the first artist in Country Aircheck / Mediabase history to have six songs chart simultaneously. Texoma Shore follows 2016’s Gold-certified If I’m Honest, the best-selling country album release of the year, which spawned three chart-topping songs and earned him a No. 1 on both the Billboard Top Country Albums and the all-genre Top Album Sales charts. Billy Bob’s Texas, the world’s largest honky-tonk, hosts over 200 live music concerts annually, is home to live bull riding, host to private and corporate events, authentic Texas cuisine, and retail store; all in a world class, authentic Western venue in the Historic Fort Worth Stockyards. Billy Bob’s Texas has won the ACM Nightclub of the Year award 9 times. For additional information and ticket purchases visit www.billybobstexas.com or contact Billy Bob’s at 817-624-7117.